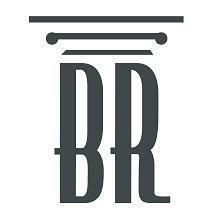 At the Blair & Ramirez LLP law firm in Los Angeles, California, we focus on providing the highest level of representation possible to those throughout Southern California who have suffered an injury or lost a loved one as the result of someone else's negligence as well as to those who have experienced a violation of their rights as employees on the job. Led by attorneys Matthew P. Blair and Oscar Ramirez, our law firm has earned the trust and respect of many across our region for our ability to obtain the positive results our clients seek regardless of how complex their needs. Through our extensive experience handling all types of personal injury, wrongful death and employment law claims, we have recovered millions of dollars on behalf of innocent accident victims while helping countless employees secure fair and just restitution for their legal disputes involving workplace discrimination and harassment, wage disputes, employer retaliation and other serious grievances. In addition, we have achieved unprecedented success representing the rights of workers in numerous high-stakes class action litigation cases against some of the largest corporations in the nation, and we have successfully asserted the rights and entitlements of numerous employees stifled in their efforts to achieve justice from unfair arbitration agreements. For the compassionate, personalized attention you deserve during your stressful and uncertain time, you can contact Blair & Ramirez LLP to receive a free initial consultation concerning your case. Our law firm also offers Spanish-speaking services as an added measure of convenience for our Latino clientele.